Better like this, or better like this? Split testing (or “A/B” testing) lets us compare alternate versions of your web page (for example, a homepage or sales page) to find out which one converts your website’s visitors best. We serve up two different versions of the web page to your web visitors, track the results, and come up with the better performing version. For example, does a green call-to-action (CTA) button get more clicks than a red button? Or does one headline draw people in more than another? Or does one image increase click throughs more than another? When you make a change to a web page, it could improve performance… or it could make things worse. 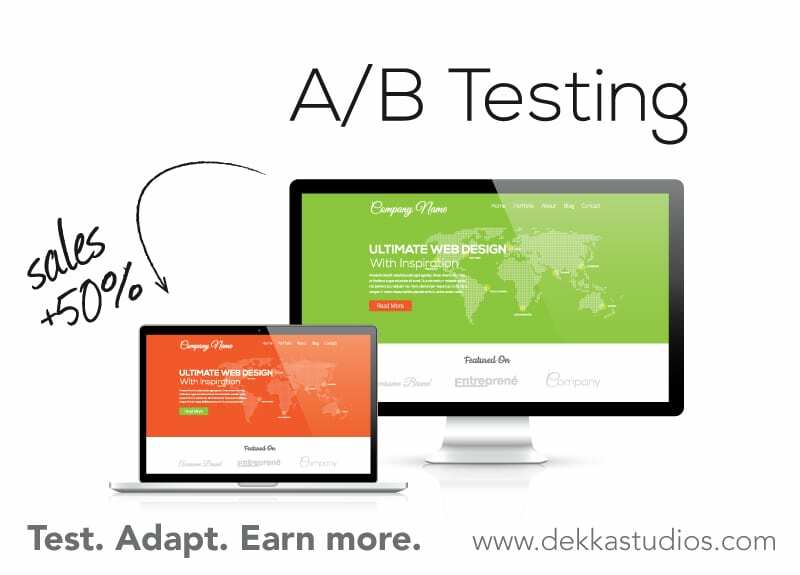 With split testing (also called A/B testing or multivariate testing) we can perform tests to measure how a web change affects a website metric (such as clicks, form completions, or purchases). Incoming web traffic is split and shown different versions of the page (they don’t realize they are taking part in the test since they only see one version of the page). We then wait for a noticeable change in performance on the page. With those results, we can make changes to the page that increase page performance. 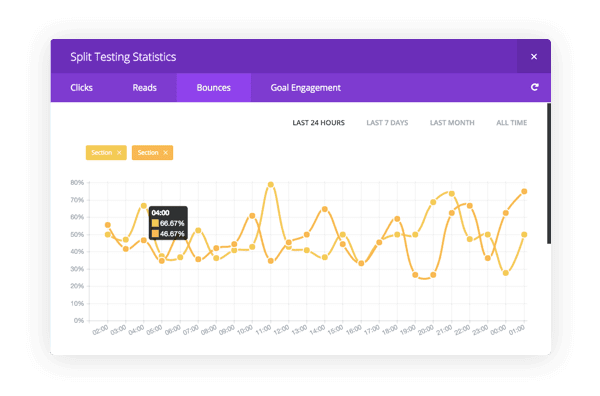 We can use this to test changes to signup forms, registration pages, calls to action, or any other parts of a website where a measurable goal can be improved. Call 610-704-4249 or email Dekka Studios for a free consultation.